Auto Chat Profits Review - Is It a Scam?? 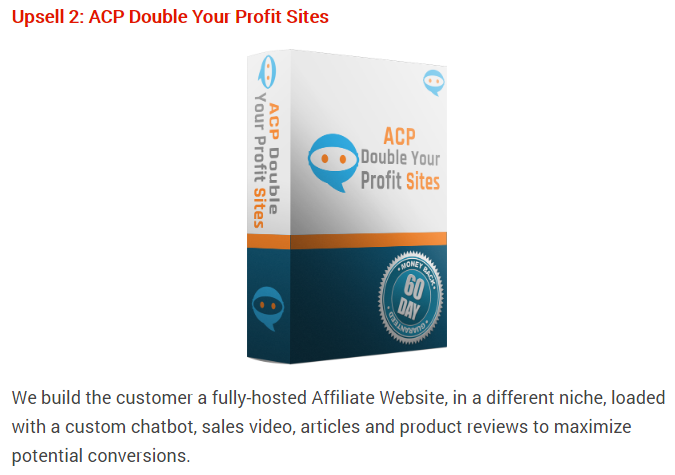 Have you recently stumbled across this websites called Auto Chat Profits? They're claiming you can “siphon” over $400 per day. You're probably wondering, is it a scam? Or is it a legit way to make money online? I recently heard about this website via email and did some digging to find out the TRUTH! All will be revealed in this Auto Chat Profits review. Auto Chat Profits Review – What Is It? 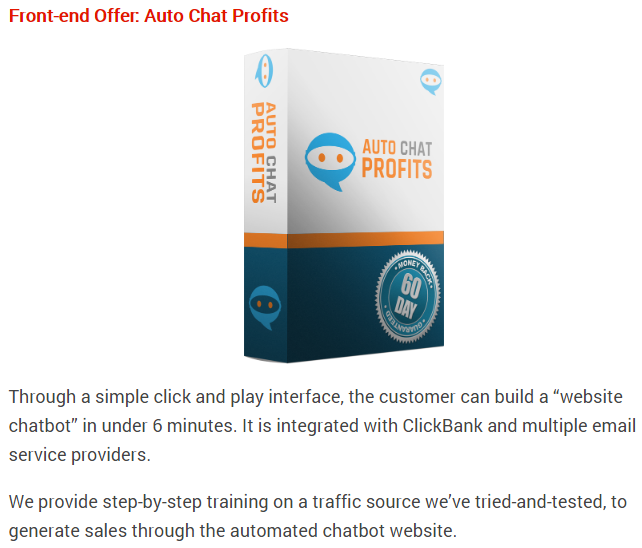 If you've seen the Auto Chat Profits website, you probably thought the same as I did. “This is just another ClickBank scam“. It has all of the tell tale signs that we see time and time again on these sorts of products. If you watch the sales video, there is woman narrating over it and she says that Auto Chat Profits is something completely new and unseen that has enabled them to make money every single day. 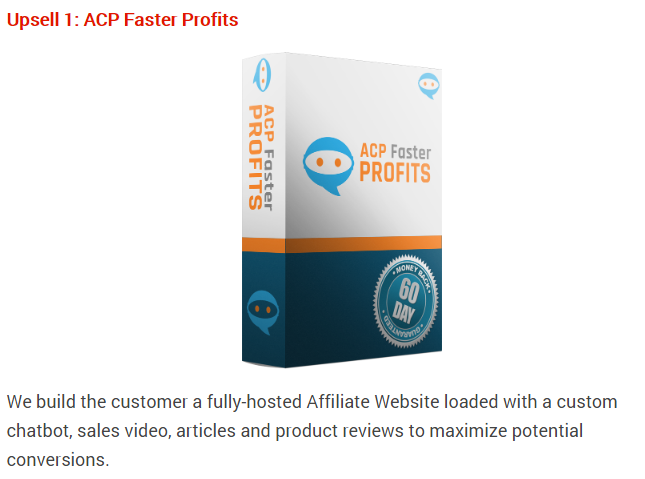 It’s a software that can allegedly build a done-for-you website to earn fast money as an affiliate marketer. However, I noticed A LOT of red flags that leads me to believe that this whole website is nothing but a scam. I don't trust them at all, and I'll show you why next. Let me show you some of the red flags that I noticed when looking through the Auto Chat Profits website. There are quite a few, so I'll only show you the major ones. The Founder – “Samantha Smith”? When it comes to purchasing a digital product, or anything for that matter, it's important to know who the founder is and who we're buying from. In the sales video, we're told that the narrator is called Samantha Smith and that she's the founder of Auto Chat Profits. However, we never actually get to see her. This is already a major red flag. For me personally, I would be turned away by this alone. 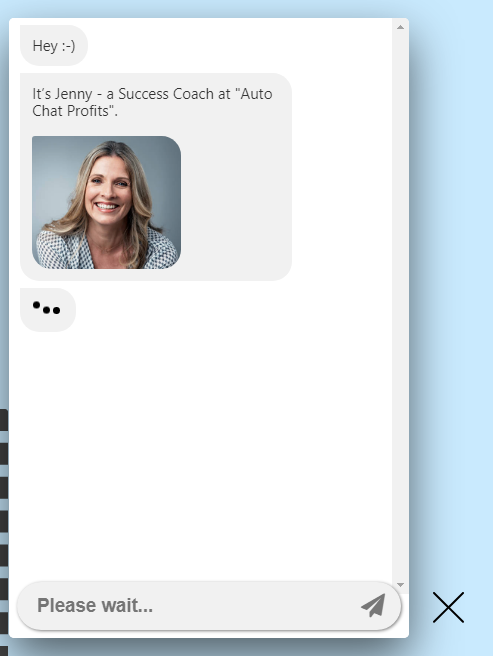 If Auto Chat Profits is so amazing and making everyone so much money, why don’t they show themselves Most people would like some praise for being the one to help people make a load of money. The fact that they're hiding just shows us that they're not being transparent. And if they're not being honest to us about this, why should we believe anything else? I have reviewed so many programs now, just like this one and I've realized that products where the owners don’t reveal their true identity up tend to be either very low quality or outright scams. Even their claims are a huge red flag. Just reading this shouts SCAM to me. “Weird robot technology siphons us up to $423 a day”. This just sounds absolutely ridiculous. And the worst part is that they never really tell us what this method is. So, if you buy into this program, you're going to be buying completely blind. Which is never a good idea. We should always know who we're buying from (which we don't know) and what we're buying (which we also don't know). In the sales video, they keep going on and on about how they're giving away their “FREE Robot License”. However, they're once again just not being transparent. There is nothing free about this program at all. How Much Does Auto Chat Profits REALLY Cost? These are the costs that you can expect if you join Auto Chat Profits. You're first hit with the entry fee of $37. You're then hit with 3 up-sells adding up to a total cost of $518. So where's the FREE part that they keep mentioning over and over again? There is nothing free! They're just talking absolute garbage. How Does Auto Chat Profits REALLY Work? The question you're all probably wondering is, how does it really work? Does it really make you money, and if so, how? I didn't actually purchase this product, because of how many clear signs there are that it's not worth my time to get the refund. However, we can use their “affiliate page” on ClickBank to get a general idea of what this program entails. This is what you would get if you purchased the $37 front end fee. Basically, they would build a very basic website for you (just like their sales page website) and give you some incredibly basic training on how to drive traffic to it. They won't tell you much more than to post your website on social media platforms. In order to get any more info and training that that, you're going to have to purchase the next up-sell for $197. So, after you'd paid for this up-sell that set you back another $197, you'll then get a “robot” that will talk to people when they land on your website. They have the same thing on their website too. The robot will ask questions about your experience with making money online, and depending what you answer, it will direct you to different ClickBank products. So with the second up-sell, after you've paid them $234, this is what you'll have. The second up-sell for another $187 will just be exactly the same thing as the previous stuff, but it will just be one extra website. So, you'll then have 2 websites doing exactly the same thing. 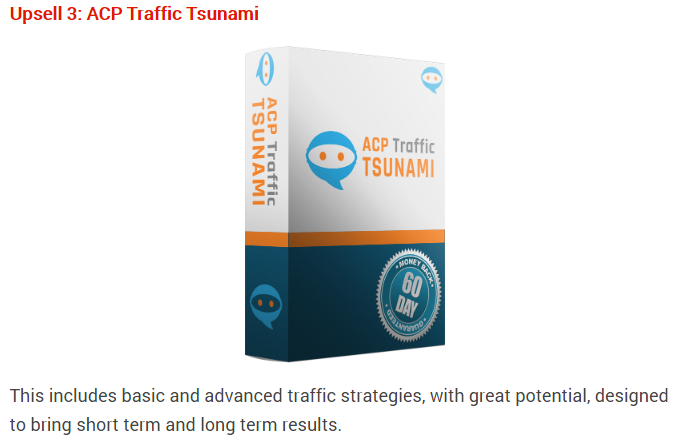 And the third and final up-sell that's going to cost you a further $97 will be some training on traffic sources. Auto Chat Profits has some training on solo ads to drive traffic to your done-for-you websites. Solo ads is about paying someone to promote your affiliate offers to their subscribers. This is a way to grow your email list and earn money when people purchase your recommended products. However, there is plenty of FREE training on the internet for this. And to be honest, it's so easy, training isn't even needed. All you do is pay someone to do everything for you. So, to pay $07 for this is absolutely not worth it. The Verdict – Do I Recommend Auto Chat Profits? I absolutely DO NOT recommend Auto Chat Profits. I can't say it's a scam because you do actually get something for your money. They will build you some very basic websites and will have those bots running on there for you. However, they're being very misleading. I HIGHLY doubt that you will make anywhere near the amount of money they claim. You might get a few sales here and there, but not enough to make $400+ per day. You would have to drive a lot of traffic to your website to earn that, which would be very difficult. Thanks for reading my Auto Chat Profits review. If you're looking for a legitimate way to make an income online then click the button below so see my #1 recommendation. That will take you to a FREE training video that's helped me make over $500,000 in the last 12 months from home.